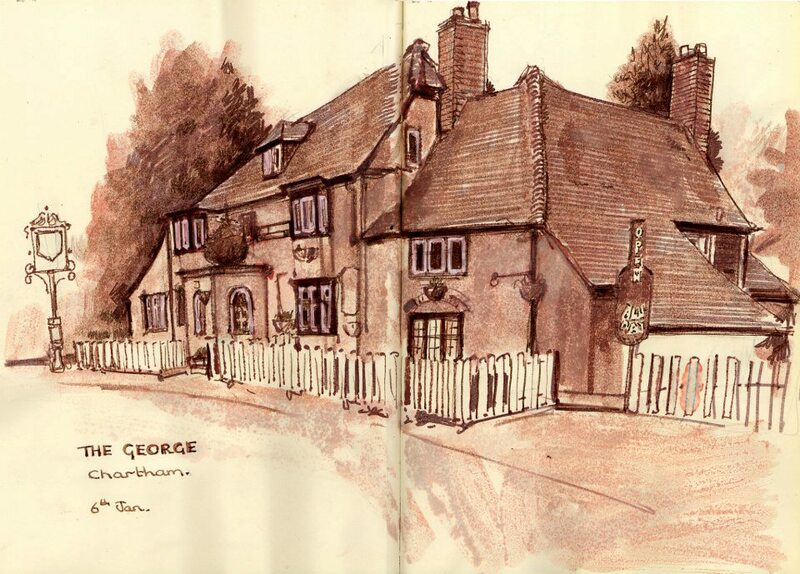 This is The George in Chartham, Kent, a brief stroll from where my parents live. One of three pubs in the village, and a beautiful old building. Drawing is such thirsty work.